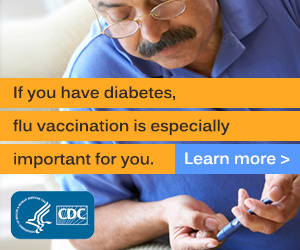 Diabetes is a more manageable disease today than it has been in the past. Recent medical advances have given individuals an opportunity to gain better control of their blood sugar levels and therefore reduce their risk of complications. Knox Community Hospital has offered the Living with Diabetes program since 2002. The Knox Community Hospital “Living with Diabetes” program is now accredited by the American Association of Diabetes Educators Diabetes Education Accreditation Program. The mission of the Living with Diabetes program at KCH is “...to provide quality and useful skills and information for all persons with diabetes who want to reduce their risk of developing disease-related complications and to be successful in obtaining control of their diabetes.” The program is presented by Knox Community Hospital’s Diabetes Care Team which includes a registered nurse, a dietitian, as well as experts in the field of exercise physiology and pharmacy. If you have Type 1 or Type 2 Diabetes, our Living with Diabetes classes as well as our monthly events will provide support for you as you make the lifestyle changes necessary to cope with this chronic disease. All aspects of Diabetes Self-Management are covered during our “Living with Diabetes” three session class. Patients are instructed on diet, exercise, medications and long-term complications of diabetes, as well as goal setting for lifestyle changes. Knox Community Hospital also offers different events each month as support and continued education for community members striving to achieve better control of their blood sugar. Individual education sessions with an RN Diabetic Educator and Registered Dietitian can be scheduled by calling 740.393.9970.